Looking for ghost towns? Whether you’re curious about dark tourism, or interested in why and how entire towns may be deserted and abandoned, there are many ghost towns around the world that can be explored. Some do have dark pasts, but others have been deserted due to economic or geological reasons. Previously under British colonial rule, Ross Island was a self-contained penal colony until the 1940’s. The buildings and infrastructure were designed to accommodate prisoners, and entertain military officers and their families. During World War II, the island was occupied by Japan, and underground bunkers and tunnels added to the structural mix. 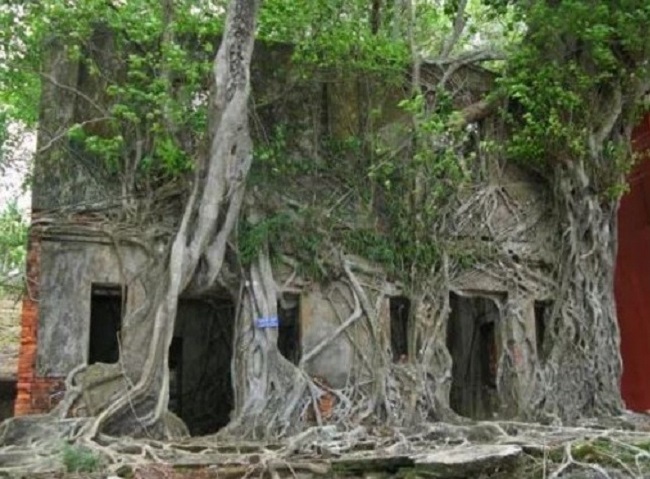 After WWII, the island was abandoned and nature began to take over. The Indian Navy has had jurisdiction over the island since the late 1970’s. No residents are permitted on the island, however, day trips are possible.